Home » Administrative Professional's Day » Your Team..What Would You Do Without Them? Your Team..What Would You Do Without Them? April 25th thru April 29th is Administrative Professional’s Week, a day to acknowledge and celebrate your hard working team. They are loyal and dedicated, work long hours (sometimes right thru lunch) take great care of our clients. They sail through one important project after another, brain storm, offer new ideas and procedures, solve problems, keep things going when we are away, and help us grow our business! If you just have a few assistants, you may want to give each one a nice gift custom designed to match their personality. Perhaps one is a chocoholic, one a golf enthusiast, and another loves baseball, for instance. When you custom design a gift for each person it really shows the thought that went into their special gift. 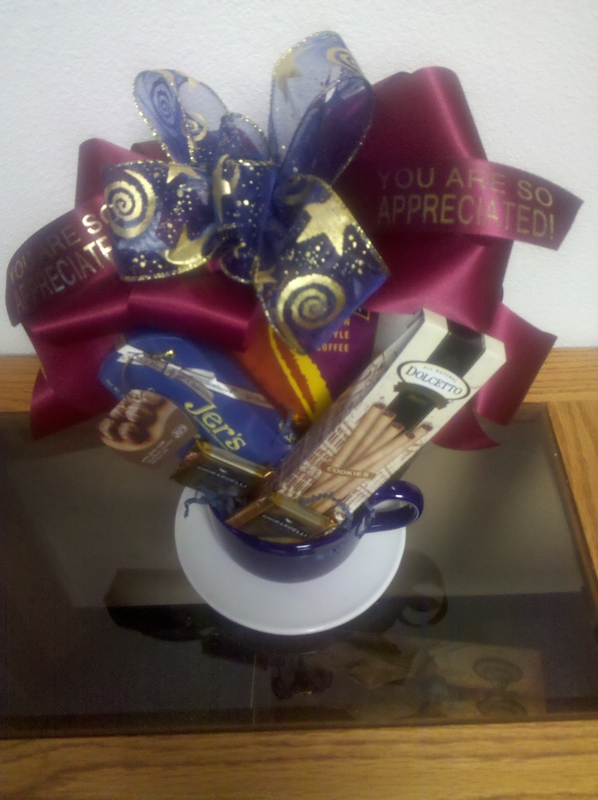 We can also include a personalized ribbon banner with a message of your choice. 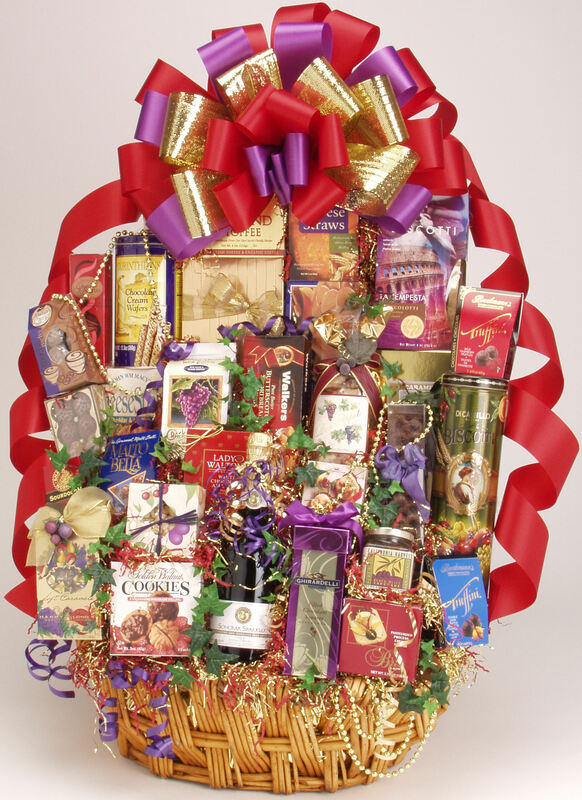 If you have a larger team, you may want to give a big office party basket for each department to share. This creates an impromptu celebration that will be long remembered. The Office Party Basket has a festive assortment of cheeses, crackers, summer sausage, fine chocolates and confections, a wonderful variety of delicious gourmet cookies, biscotti, coffee, tea, pretzels, caramel corn and much more! So fun and yummy! Give us a call to arrange a surprise for either one special assistant or your whole team!